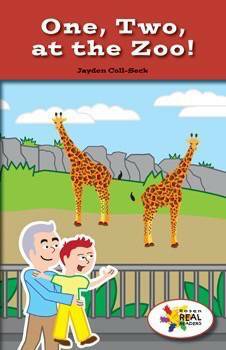 In this fictional narrative, Jim and his grandpa visit the zoo. Bright illustrations and key details will help readers with word recognition through their familiarity of common zoo animals. Readers count along with Jim as he sees different animals at the zoo. This fiction title is paired with the nonfiction title Adding with Animals.